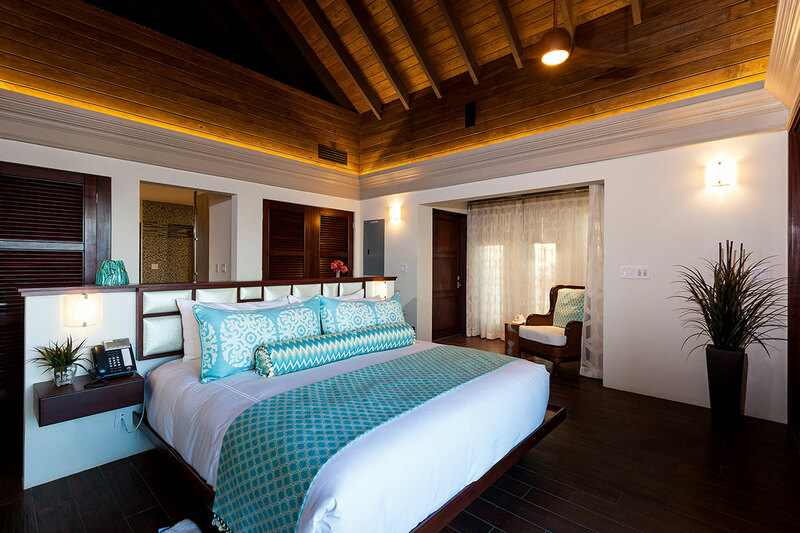 A total of 9 stylishly appointed bedrooms are spread between the Main House and Guest House, maximizing privacy for friends and families alike. 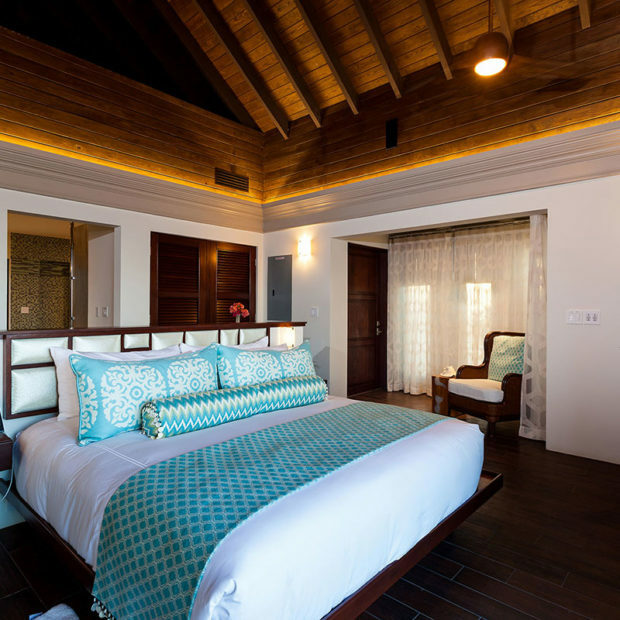 The villa can accommodate groups of up to 20 guests but can be rented with as few as 5 bedrooms. 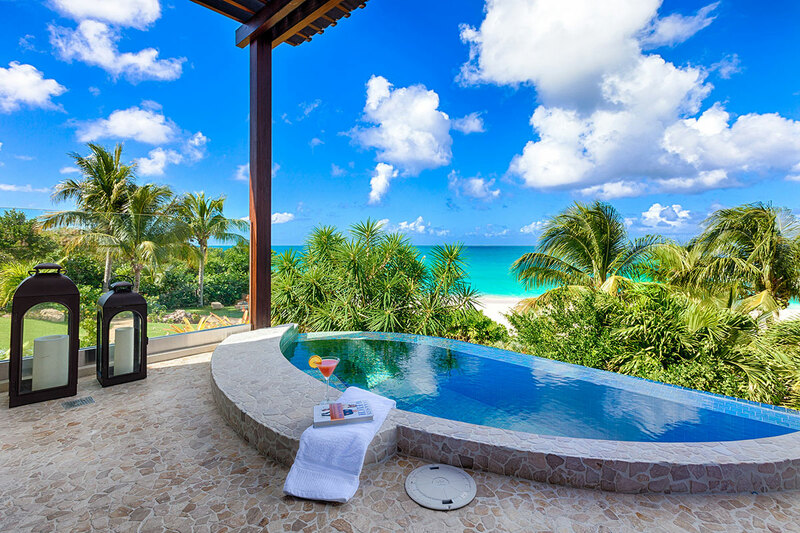 Nevaeh’s 9 bedrooms and 8 full bathrooms enjoy ocean and garden views with private terraces and air-conditioning. 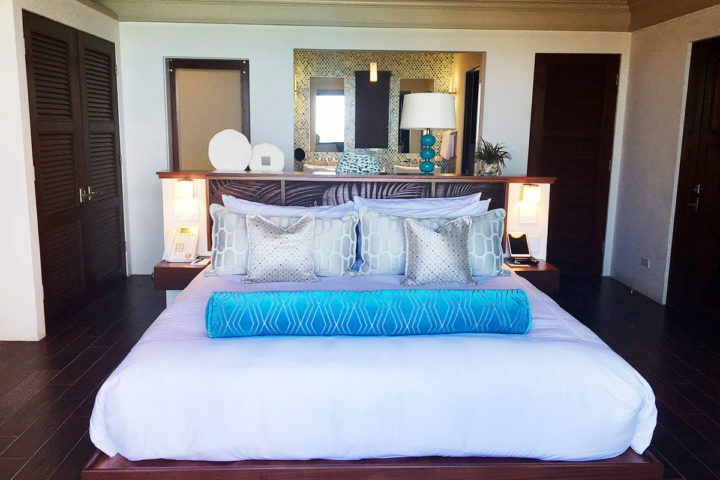 Room features include: Flat-screen TVs, Blu-ray DVD players, Ipads, direct-dial telephones, Sonos surround-sound system, personal safes, refrigerators, bathrooms with double vanities, separate showers & soaking tubs, bathrobes & slippers and White Company luxury toiletries. 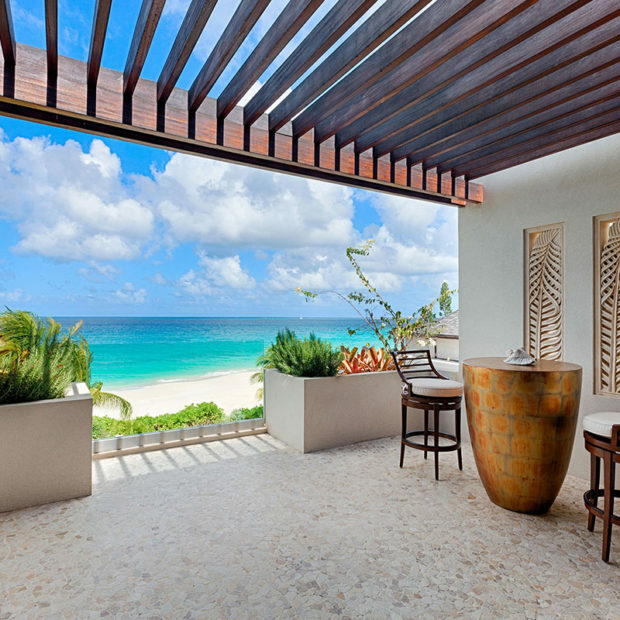 Four of the bedrooms also feature outdoor showers. 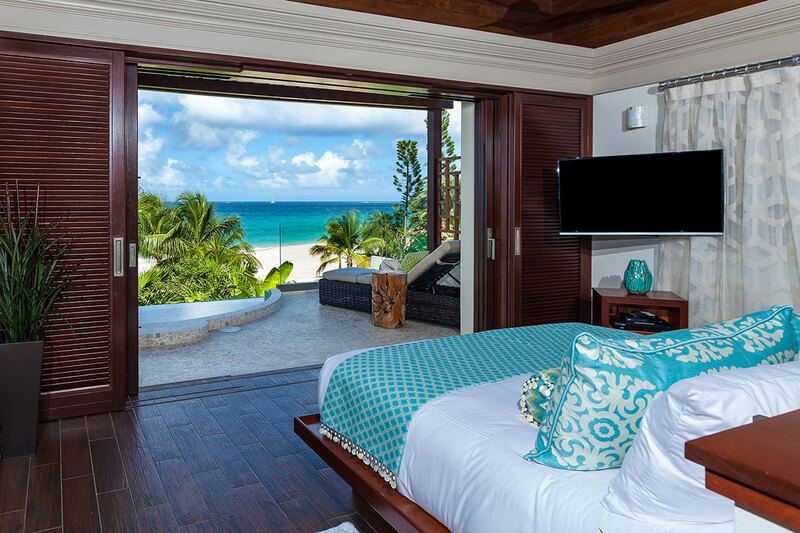 This suite is accessible for mobility impaired guests. 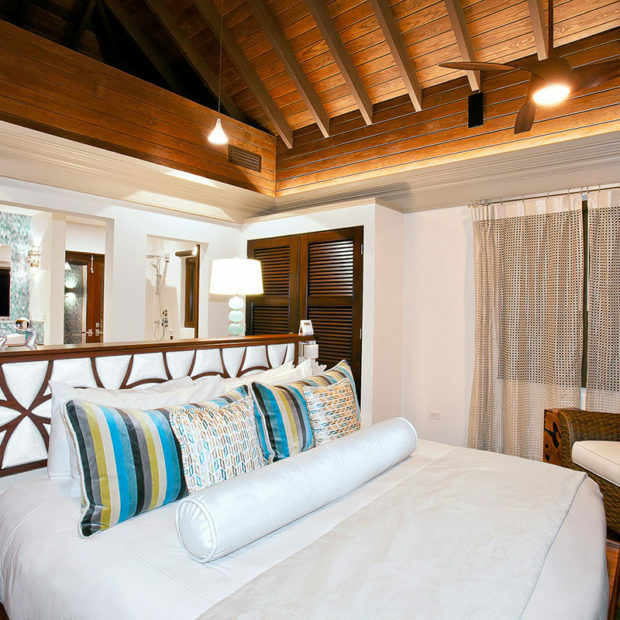 This master suite is located on the second floor and is separated from Emerald by a pergola-shaded deck. 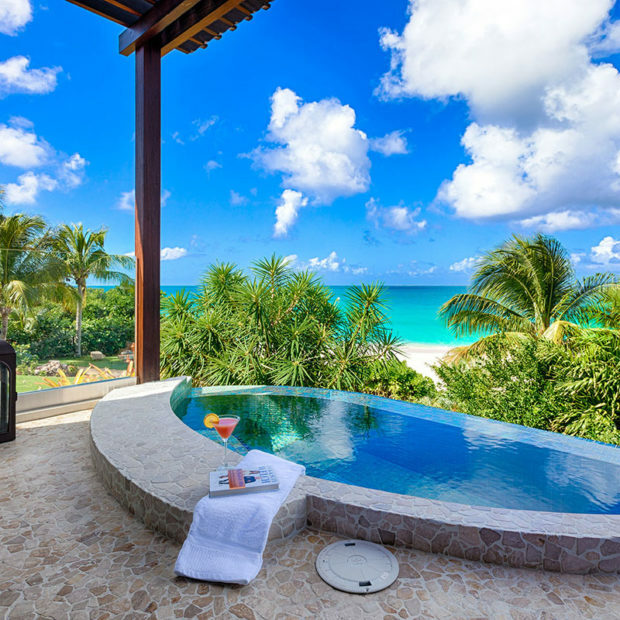 Panoramic ocean views are enjoyed from the lounging terrace and the bathroom features a separate outdoor shower. 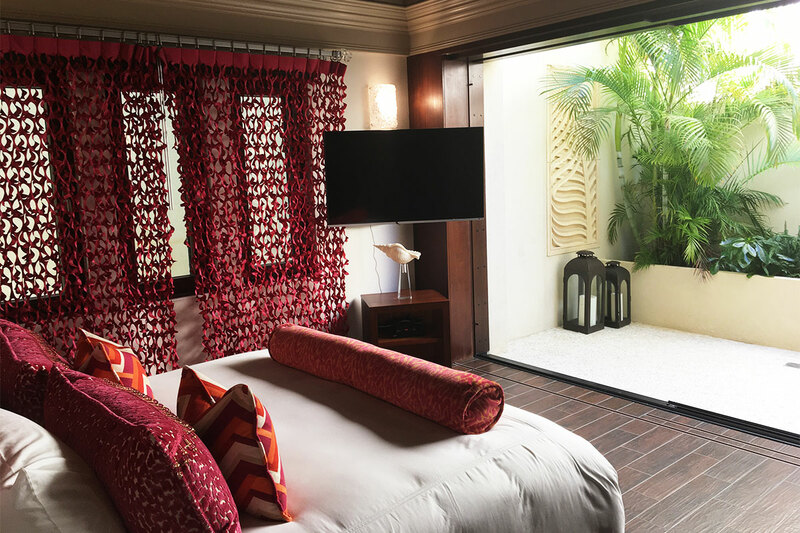 Located on the ground floor across from Ruby, this suite is accessed from the central courtyard and is convenient to the great room. 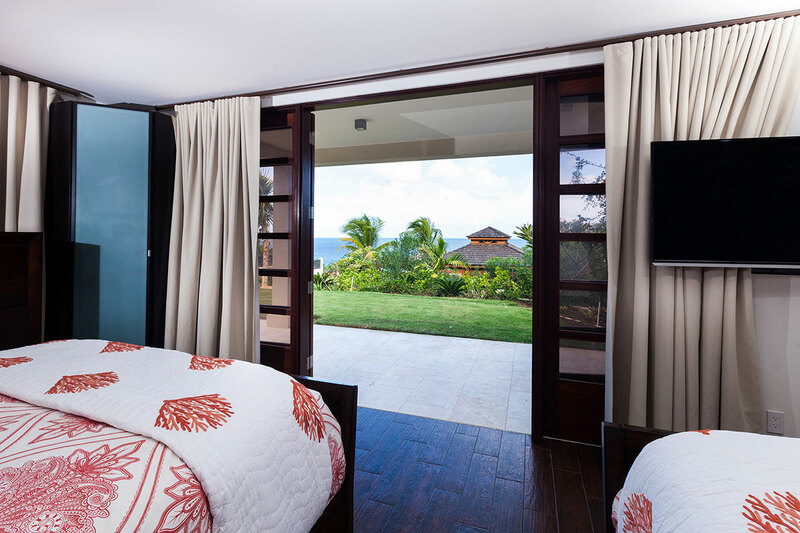 A spacious bedroom area opens up onto a walled garden featuring an outdoor shower. 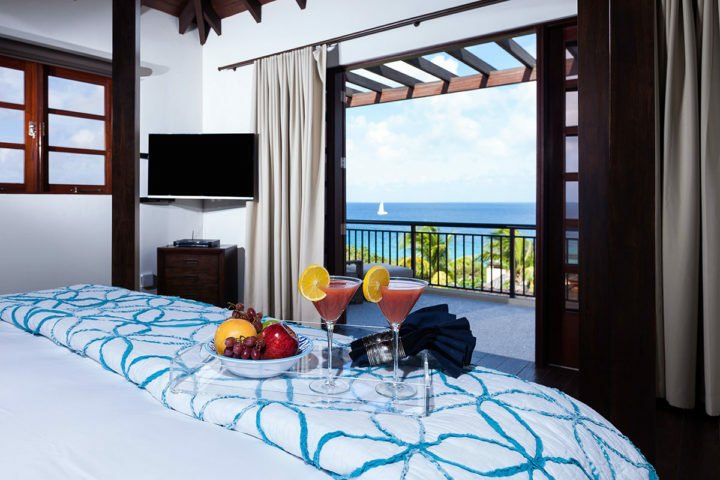 Located on the ground floor across from Sapphire, this suite is accessed from the central courtyard and is convenient to the great room. 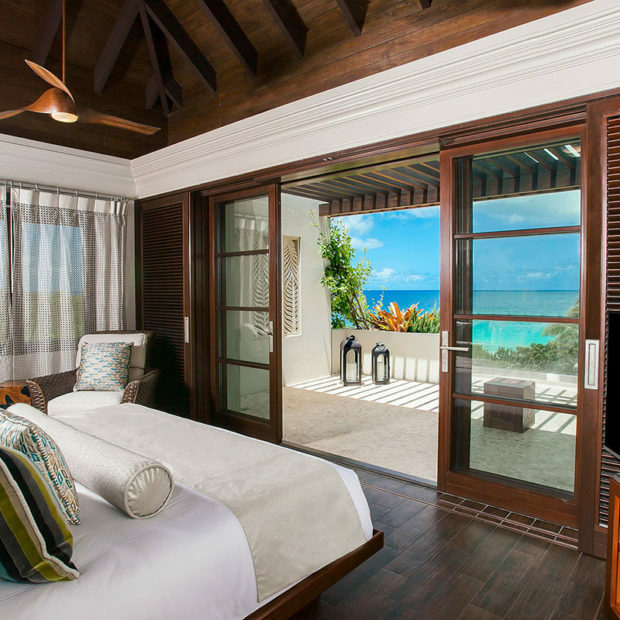 A spacious bedroom area opens up into a walled garden featuring an outdoor shower. 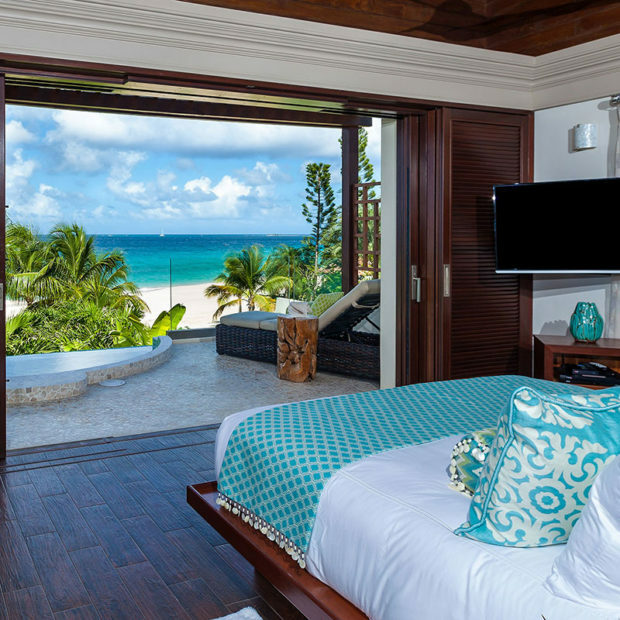 Located on the second floor of the guest house, this master suite enjoys ocean views from its private lounging terrace. Mahogany shelves stocked with books and board games line the entrance way, while a second kitchen with living and dining space is accessible from just outside the suite's entrance. 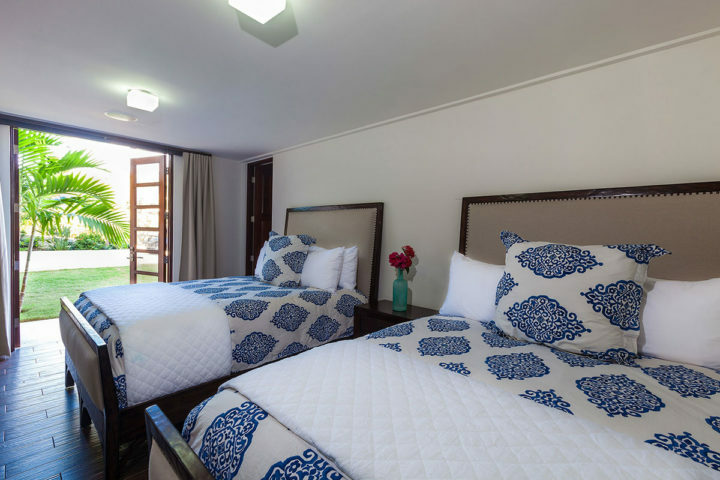 This cozy ground floor guest house suite features two queen size beds and is ideal for children. 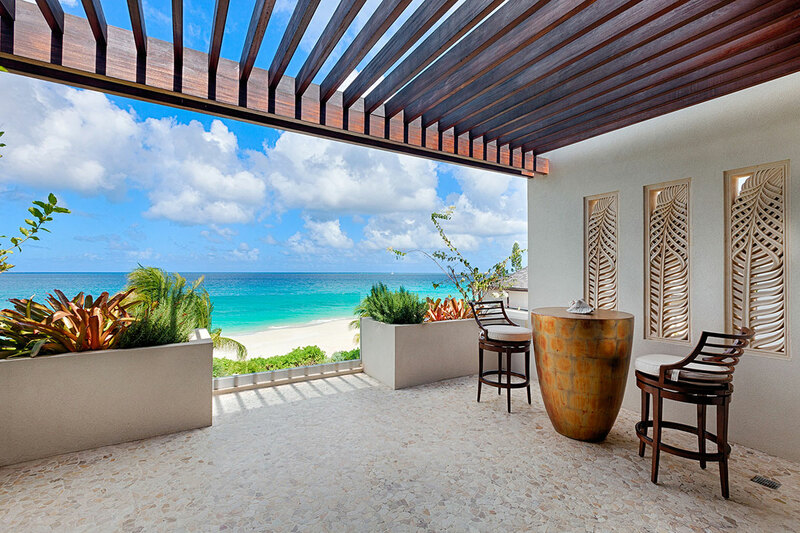 The terrace enjoys garden and partial ocean views. An entrance vestibule is shared with Jade along with a bathroom, featuring double vanities, soaking tub and shower, and a separate powder room. Access to the Guest House kitchen and living/dining areas is by way of the stairs located just outside the entrance vestibule. 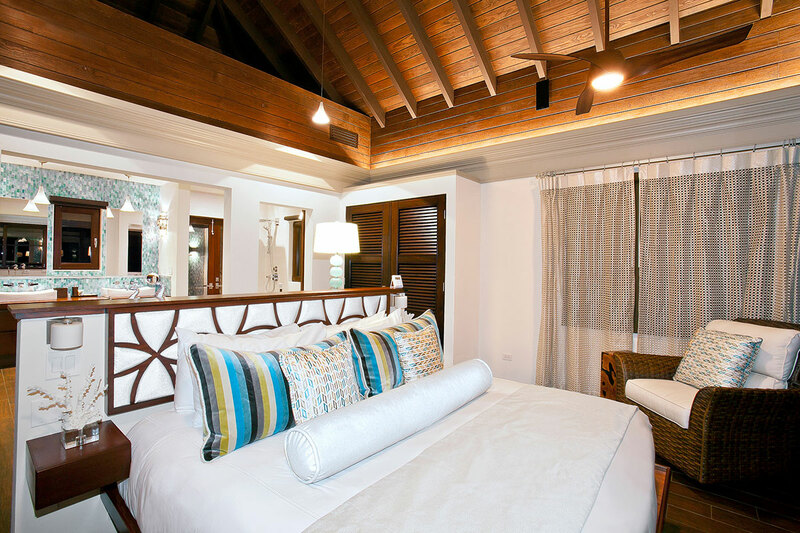 This cozy ground floor guest house suite features two queen size beds ideal for children. A communal entrance vestibule is shared with Pearl along with a bathroom, featuring double vanities, soaking tub and shower, and a separate powder room. Access to the Guest House kitchen and living/dining areas is by way of the stairs located just outside the entrance vestibule. 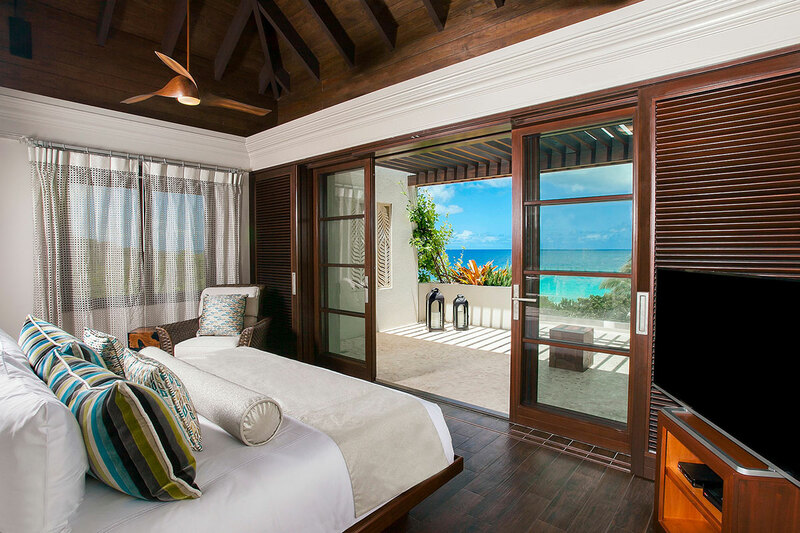 This free-standing pine wood bedroom is positioned between the Main House and Guest House. 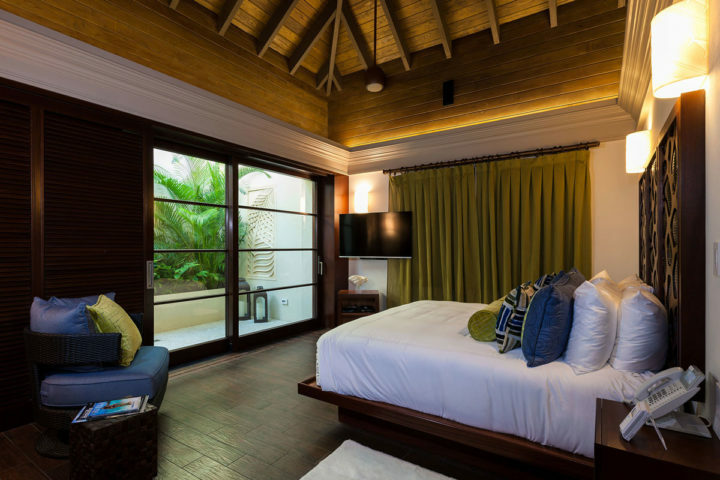 An intimate, private accommodation with cedar-paneling throughout, the cabana can be set up with one king or two twin size beds. A bathroom with shower and single vanity, personal storage space and a beverage refrigerator completes the amenities. 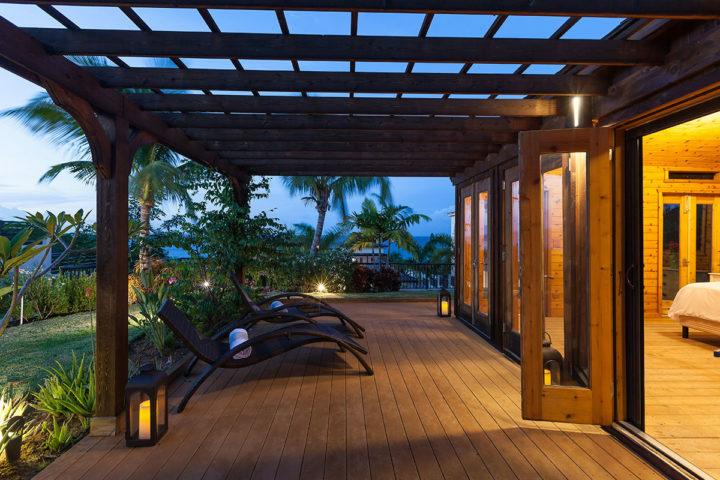 A wooden deck wraps around two sides of the cabana and ocean and garden views can be enjoyed from the rattan lounging beds positioned beneath the pergola.